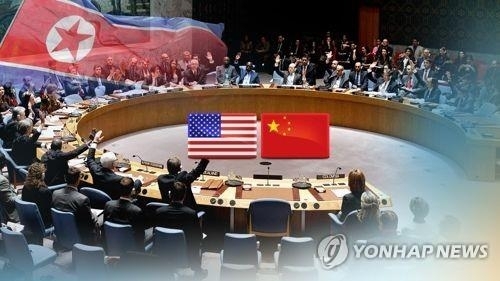 WASHINGTON, Sept. 28 (Yonhap) -- China has made growing progress in efforts to denuclearize North Korea, reflecting a shift in its views of the longtime ally, a senior U.S. official said Thursday. Susan Thornton, acting assistant secretary of state for Asian and Pacific affairs, gave the assessment during a Senate hearing on the effectiveness of sanctions in getting the North to give up its nuclear weapons program. "We recognize that the success of this pressure strategy will depend on heavy cooperation from our international partners, especially Beijing," Thornton said. "We are working closely with China to execute this strategy and are clear-eyed in viewing the progress growing, if uneven, that China has made on this front." China recently backed two U.N. Security Council resolutions sanctioning Pyongyang for its ballistic missile and nuclear tests. It also ordered North Korean companies in the country and those in joint ventures with Chinese businesses to close. "Our task now is to hold China and others to these internationally binding obligations and to convince China's leaders to more fully exert their decisive leverage over North Korea," Thornton said, emphasizing that sanctions implementation will be the key to "really upping the pressure on the Kim regime." The official also noted a policy shift on China's part. "We're trying to turn China's position from looking at North Korea as some kind of asset, to looking at them as a liability," she said. "I think that Secretary (of State Rex) Tillerson has made a lot of progress on that front." Last week, U.S. President Donald Trump signed an executive order that gave more authority to the Treasury Department to cut off banks and companies doing business with North Korea from the U.S. financial system. Sigal Mandelker, Treasury undersecretary for terrorism and financial crimes, said her department is constantly looking at ways to exercise its authorities to achieve "maximum strategic impact." The Treasury has targeted North Korea's biggest revenue generators, she said, citing the sanctioning of three coal companies that made half a billion dollars worth of revenue for the North. "Part of the reason we're in the place that we are today is that North Korea has been incredibly adept at evading our sanctions and we want to cut that off at the pass, and so, we are focusing on high revenue generators." On Tuesday, the Treasury announced sanctions on eight North Korean banks and 26 North Koreans working as representatives for the country's banks in China, Russia, Libya and the United Arab Emirates.